Guatemalan food culture is based on a mixture of Spanish and Mayan cuisine. It’s national dish appeared to be a salad, so I immediately discounted it. I stumbled across tamales – little steamed parcels which seemed close to dumplings, so decided to do more research. To make my tamales I beat lard with masa harina and added chicken stock to make a dough. I then spread the dough onto banana leaves which I had in the freezer already from a previous visit to Manchester’s China Town. Tamales in Mexico use corn husks but plantain or banana leaves are used in Guatemala.On top of the dough I popped a little pile of grated cheese, some fried chicken breast, pepper and onion which I’d seasoned with some fajita-style seasoning we have. I then folded up the dough to seal the chicken inside and wrapped up the banana leaves. They were steamed in baskets for an hour. I enjoyed making these and I can see why people like them. 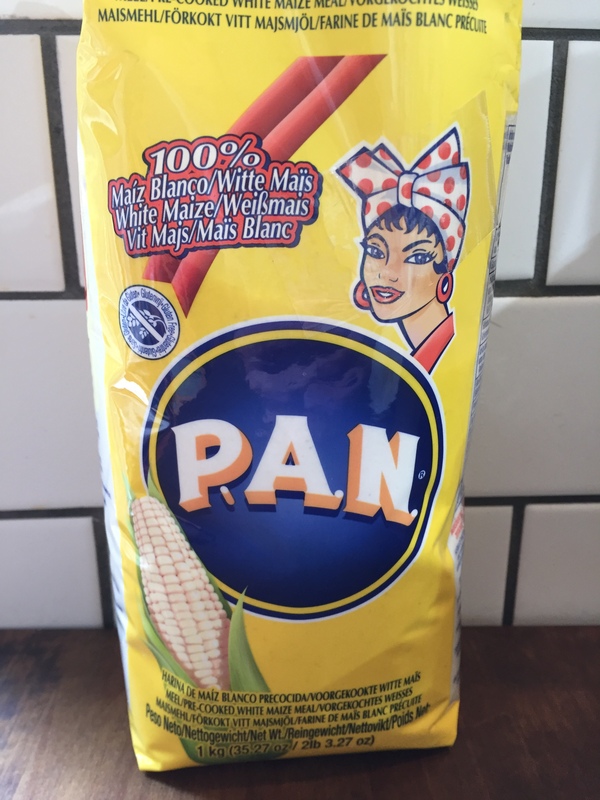 I’ve never been a fan of the taste of corn, so think I’d like them better with an alternative starch, but they are still pretty nice! I like the texture particularly. Good street-style food. There are also Paches (similar to tamales but made with potato instead of corn), chuchitos, tamal de viaje, tortillas and many others. The use of banana leaves for cooking and the chicken was right on . Thanks! It’s very hard to get any kind of authentic products where I live (Cheshire, England). I have to rely on buying things online.